HugSQL is a Clojure library for embracing SQL. SQL is the right tool for the job when working with a relational database! This documentation make use of The Princess Bride example application in the HugSQL repository. Feel free to view or clone the repo and run the application with lein as-you-wish. HugSQL provides a clean separation of SQL and Clojure code. You can start developing with HugSQL by deciding where to put your SQL files in your application. HugSQL can find any SQL file in your classpath. You can place your SQL files under resources, src, or elsewhere in your classpath. HugSQL uses special SQL comments to accomplish its work. These conventions are explained later in this document. Keep reading! Now we write a bit of Clojure to define our database functions. ;; so "src" is not included in the path. ;; The same would apply if the sql was under "resources/..."
;; For most HugSQL usage, you will not need the sqlvec functions. ;; for advanced usage with database functions. You've only scratched the surface of HugSQL's functionality. Keep reading for full usage examples. This section provides practical usage examples with HugSQL. 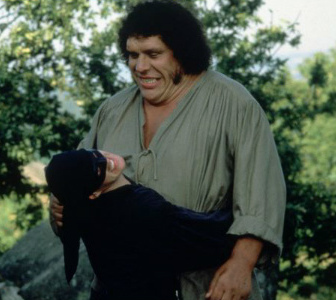 Most examples come from The Princess Bride example application in the HugSQL repository. hugsql.core/def-db-fns is a macro that creates functions in your Clojure namespace based on the SQL queries and statements in your HugSQL-flavored SQL file. functions in the current namespace. and then rejoined. This supports myschema.mytable conventions. when :adapter is not given. calls (overriding set-adapter! and the :adapter option here). & command-options is a variable number of options to be passed down into the underlying adapter and database library functions. See Advanced Usage for more detail. The sqlvec format is a convention used by clojure.java.jdbc and clojure.jdbc for value parameter replacement. Because of the underlying support in these libraries and the JDBC-driver-specific issues for data type handling, HugSQL also uses the sqlvec format by default for value parameters. HugSQL provides the hugsql.core/def-sqlvec-fns macro to create functions returning the sqlvec format. The created functions have an -sqlvec suffix by default, though this is configurable with the :fn-suffix option. These functions are helpful during development/debugging and for the purpose of using the parameter-replacing functionality of HugSQL without using the built-in adapter database functions to execute queries. differentiate them from the functions defined by def-db-fns. It is often the case that you want to return the record just inserted or at least the auto-generated ID. This functionality varies greatly across databases and JDBC drivers. HugSQL attempts to help where it can. You will need to choose an option that fits your database. (testing "insert w/ return of .getGeneratedKeys"
Clojure Expressions give HugSQL SQL statements the full power of Clojure to conditionally compose portions of SQL during runtime. Expressions are written within SQL comments (in keeping with the SQL-first workflow). Expressions should return a string or nil. The string returned may contain HugSQL-specific parameter syntax. Expressions have two bound symbols available at runtime: params, which is the hashmap of parameter data, and options, which is the hashmap of options. A single-line comment expression starts with --~. Notice the tilde ~. An entire Clojure expression is expected to be in a single-line comment. Expressions are defined and compiled just after the initial file/string parse. Snippets allow query composition by defining and generating portions of SQL statements and then using the Snippet Parameter Types to place these snippets into a full SQL statement. It's worth noting that a snippet returns an sqlvec. This small detail gives you a great deal of flexibility in providing snippets to your HugSQL queries. Why? Because you don't necessarily need to create your own snippet DSL: you could use another library for this. It is the best of both worlds! This exercise is left to the reader. Each underlying database library and corresponding HugSQL adapter may support additional options for the execute/query commands. Functions defined by def-db-fns have a variable-arity 4th argument that passes any options through to the underlying database library. Please note that as of clojure.java.jdbc 0.5.8 and HugSQL 0.4.7, the above additional options are now required to be a hashmap instead of keyword arguments as in previous versions. In clojure.java.jdbc 0.5.8 the deprecated usage will emit a warning. In clojure.java.jdbc 0.6.0 the usage is deprecated and not allowed. See the clojure.java.jdbc changelog for details. HugSQL encourages SQL, DDL, and DML statements to be stored in SQL files such that you are not concatenating large strings or needing to use leaky-abstraction DSLs in your Clojure projects. :snip or :snip- (private fn) = name of the function to create and, optionally, the command and result as a shorthand in place of providing these as separate key/value pairs. :snip is used in place of :name for snippets. :query and :execute mirror the distinction between query and execute! in the clojure.java.jdbc library and fetch and execute in the clojure.jdbc library. :query is the default command when no command is specified. You can create command functions of your own by implementing a hugsql.core/hugsql-command-fn multimethod. :raw is the default when no result is specified. You can create result functions of your own by implementing a hugsql.core/hugsql-result-fn multimethod. When a HugSQL-generated function is called, the parameters in an SQL statement are replaced at runtime with the hash-map data passed in as the function's second argument. The keys of the hash-map are matched to the :param-name portion of the parameter. Parameters can be repeated throughout an SQL statement, and all instances of a parameter will be replaced. HugSQL recognizes the need for different types of parameters in SQL statements. Specifically, SQL treats data values differently from identifiers and SQL keywords. If you are building dynamic queries to select specific columns or choose the order by direction, then a simple value parameter is not sufficient. HugSQL supports value parameters, identifier parameters, and raw sql (keyword) parameters. The built-in parameter types are detailed below along with information on extending these types and creating new types. Value Parameters are replaced at runtime with an appropriate SQL data type for the given Clojure data type. HugSQL defers the Clojure-to-SQL conversion to the underlying database driver using the sqlvec format. Value Parameters' type is :value, or :v for short. Value Parameters are the default parameter type, so you can omit the type portion of the parameter placeholder in your SQL statements. Value List Parameters are similar to Value Parameters, but work on lists of values needed for in (...) queries. Value List Parameters' type is :value*, or :v* for short. The * indicates a sequence of zero or more values. Each value in the list is treated as a value parameter, and the list is joined with a comma. Tuple Parameters are similar to Value List Parameters in that they both work with lists of values. Tuple Parameters differ in that they enclose their values in parentheses. Additionally, while a Tuple Parameter can be used like a Value List Parameter (e.g., for an in () clause), it is generally understood that a Tuple Parameter's data values may have different data types, but Value Parameters values are of the same data type. Tuple Parameters' type is :tuple. Each value in the list is treated as a Value Parameter. The list is joined with a comma and enclosed in parentheses. The use of a tuple in the above manner is not supported by all databases. Postgresql, MySQL, and H2 support it. Derby, HSQLDB, and SQLite do not support it. Tuple List Parameters support lists of tuples. This is specifically useful for multi-record insert. Tuple List Parameters' type is :tuple*. Each tuple in the list is treated as a Tuple Parameter. The list is joined with a comma. The use of a tuple list in the above manner is not supported by all databases. Postgresql, MySQL, H2, Derby, and SQLite support it. HSQLDB does not support it. BATCH INSERTS: It should be noted that Tuple List Parameter support is only support for SQL INSERT...VALUES (...),(...),(...) syntax. This is appropriate for small-ish multi-record inserts. However, this is different than large batch support. The underlying JDBC driver for your database has a limit to the size of the SQL and the number of allowed bind parameters. If you are doing large batch inserts, you should map or doseq over your HugSQL-generated insert function within a transaction. Identifier Parameters are replaced at runtime with an optionally-quoted SQL identifier. Identifier Parameters' type is :identifier, or :i for short. By default, identifiers are not quoted. You can specify your desired quoting as an option when defining your functions or as an option when calling your function. If you are taking identifiers from user input, you should use the :quoting option to properly quote and escape identifiers to prevent SQL injection! Identifiers containing a period/dot . are split, quoted separately, and then rejoined. This supports myschema.mytable conventions. Identifier List Parameters are similar to identifier parameters, but work on lists of identifiers. You might use these to replace column lists found in select, group by, order by clauses. Identifier List Parameter's type is :identifier*, or :i* for short. The * indicates a sequence of zero or more identifiers. Each identifier in the list is treated as an identifier parameter, and the list is joined with a comma. Raw SQL Parameters allow full, un-quoted, parameter replacement with raw SQL, allowing you to parameterize SQL keywords (and any other SQL parts). You might use this to set asc or desc on an order by column clause, or you can use this to compose many SQL statements into a single statement. You should take special care to always properly validate any incoming user input before using Raw SQL Parameters to prevent an SQL injection security issue. Snippet parameters are replaced at runtime with the provided snippet/sqlvec. Snippet List parameters are replaced at runtime with the provided list of snippets/sqlvecs. - :value keyword is the parameter type to match on. in the first position and any values in the remaining positions. One of HugSQL's design goals is to balance the coupling of an SQL-template library (itself) with an underlying database library of the developer's choosing. We could concede to no coupling at all--providing only def-sqlvec-fns. However, wrapping a few underlying database library functions in a protocol provides a nice easy-path for most use cases. And, where necessary to use the underlying database libraries directly, HugSQL attempts to stay out of the way and give you the tools to do what you want to do. In the spirit of the above thoughts, HugSQL provides an adapter protocol to allow your choice of underlying database library. HugSQL will default to using the adapter for the clojure.java.jdbc library. If you would prefer to use the adapter for clojure.jdbc or another adapter, you will need to configure your dependencies and set the adapter. The hugsql clojar is a meta clojar that pulls in hugsql-core, hugsql-adapter, and the default adapter hugsql-adapter-clojure-java-jdbc, which uses clojure.java.jdbc to run database queries. Within your Clojure code, you will need to explicitly set the adapter. You can do this globally (i.e., at app startup) with hugsql.core/set-adapter!, or you can specify the :adapter as an option when defining your functions with hugsql.core/def-db-fns, or you can pass in an :adapter option when calling your defined function. Creating a HugSQL Adapter is as simple as implementing the hugsql.adapter/HugsqlAdapter protocol. For examples, see the implementations for clojure.java.jdbc and clojure.jdbc. HugSQL's adapter protocol encourages alternative adapters to support your preferred database library. Write your own! Did you write an adapter? Add an issue and we'll add your adapter here. Yesql is a Clojure library written by Kris Jenkins. It has a similar take on using SQL that HugSQL embraces whole-heartedly. Certainly, HugSQL would not exist were it not for Kris' great library. So why build a another similar library? A recent project with some fairly hairy SQL required me to generate dynamically-named tables and views with variable columns, and I found myself having to revert back to string concatenation for building up my SQL. I realized I needed something similar to Yesql, but with support for different types of parameter placeholders: namely, SQL Identifiers and SQL Keywords. This was the seed that grew into HugSQL, and the two libraries have quite a few differences now. Yesql is coupled to clojure.java.jdbc. HugSQL has protocol-based adapters to allow multiple database backend libraries and ships with support for clojure.java.jdbc and clojure.jdbc. This functionality has enabled the adapter for postgres.async. See Hugsql Adapters for more information. Yesql only supports SQL Value parameters. HugSQL supports SQL Values, SQL Identifiers, SQL Tuples, SQL Keywords (Raw SQL), and you can create your own custom parameter types. See HugSQL in Detail for more info. Yesql supports positional parameter placeholders ? and named parameter placeholders :id. HugSQL only supports named parameter placeholders and there are no plans to support positional placeholders. Yesql tends to favor naming conventions of the function name (!, and <! suffixes) to indicate functionality. HugSQL prefers explicit configuration in the SQL file. HugSQL features a :result configuration that indicates the expected return format (e.g., :many = vector of hashmaps, :one = hashmap). Yesql supports a similar functionality by passing the :result-set-fn option through to clojure.java.jdbc/query. Yesql (as of 0.5.x) supports setting a default database connection at the time of function definition, and optionally overriding this connection at function call time. HugSQL expects a database spec, connection, or transaction object as the first argument to your function call. However, as of version 0.4.1, HugSQL provides map-of-db-fns allowing other libraries to wrap HugSQL-created functions and set a default database connection. This is precisely what the Luminus web framework's conman library does. As of HugSQL 0.4.0, HugSQL supports Clojure expressions and Snippets for composing SQL from smaller parts. P.S. I'd like to keep the above comparison accurate as both libraries grow. See something that's not right? Add an issue! Does HugSQL support my wacky SQL? Yes, HugSQL's parsing strategy is to extract the parts it cares about and leave the rest of your SQL as is. If you find some SQL is not being handled properly by HugSQL, it may be a bug. File an issue. What about DSLs for SQL? Can I get the same flexible SQL generation like I can in Honey SQL? Yes, as of the HugSQL 0.4.0 release, Clojure expressions and Snippets provide all of the power and flexibility to compose SQL statements. HugSQL encourages you to think in SQL first, then sprinkle in the power of Clojure where necessary. HoneySQL starts on the Clojure side first. Both are valid workflows and a matter of developer preference and situation. It's important to realize that HugSQL and HoneySQL are not mutually exclusive: HugSQL Snippet Parameter Types :snip and :snip* can consume the sqlvec format output from HoneySQL's format function. It's the best of both worlds! How does HugSQL help protect against SQL injection? Value Parameters, Value List Parameters, Tuple Parameters, and Tuple List Parameters are all variations on SQL value parameters that convert a Clojure data type to SQL. By default, all of these parameter types defer to the underlying database library to perform SQL parameter binding to prevent SQL injection issues. Identifier Parameters and Identifier List Parameters support quoting and escaping of identifiers with the :quoting option. By default, :quoting is :off, since HugSQL makes no assumptions about your given database. This may be fine for your use case if you are not taking identifiers from user input. If you are taking identifiers from user input, you should use the :quoting option to prevent SQL injection! See Identifier Parameters for details. Raw SQL (Keyword) Parameters are exactly what they seem, and it is your responsibility to sanitize any usage of this parameter type when using user input. Snippets generate sqlvecs and Snippet Parameter Types consume sqlvecs. For snippets containing any HugSQL parameter types, the same rules as above apply. If you are consuming a snippet (or sqlvec) from your own code or another library (say, HoneySQL), then other rules might apply. Custom Parameter Types allow you to create your own parameter types. It is your responsibility to ensure your implementation protects against SQL injection by properly escaping your data. Clojure Expressions should return either a string or nil, and strings returned from expressions are parsed at runtime to support HugSQL parameters. The same rules apply for the above parameter types. Copyright © 2018 Layerware, Inc. Does it support my wacky SQL?